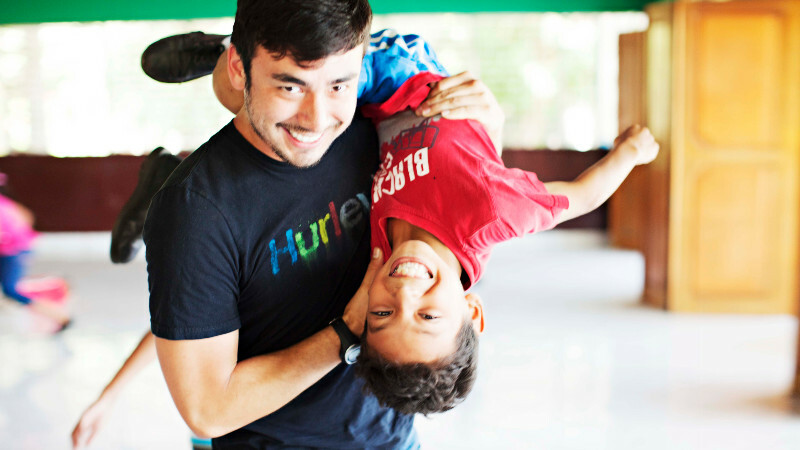 Want to bring a group down to Nicaragua for a service or vision trip? Whether your team wants to serve with us or simply visit to get a broader vision for how God works in other cultures and contexts, we welcome you! We’ll work with you and local ministry leaders to figure out how to shape the week both to fit your needs as well as to further our active programs at One by One. Learn more about the Short-Term Team process below and contact us at teams@obointernational.com to start the conversation! Service and vision trips typically include three elements—ministry involvement, construction & maintenance projects, and cultural understanding—but you may decide which of the three you would like to be the primary focus of your trip. A team focusing on ministry involvement will work alongside our staff in our outreach and development programs. This might include helping coordinate large-group activities, performing dramas or puppet shows, sharing testimonies, helping lead field trips, teaching special skills, or delivering Bible lessons. 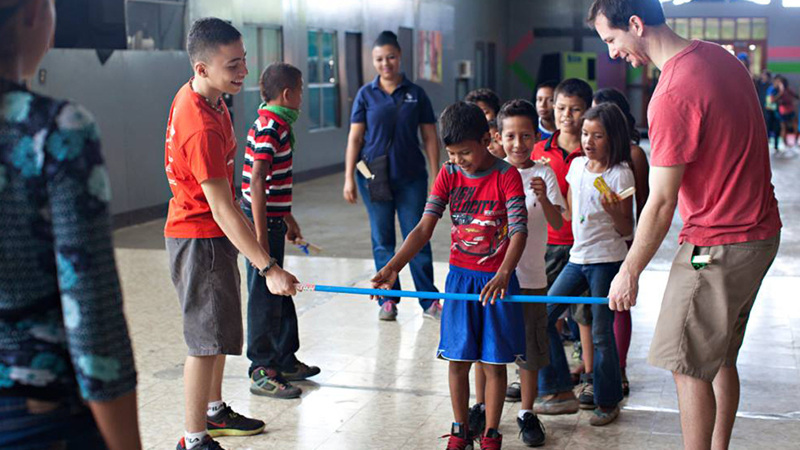 We’ll communicate with you before your trip so that together we can figure out how to utilize your team’s skills to reach new kids or to add another layer of excitement, variety, and learning for those already involved in our programs. One by One rents a large building where most of our ministry outreach takes place during the week. We often need help with a number of work projects that aid in the upkeep of this facility. 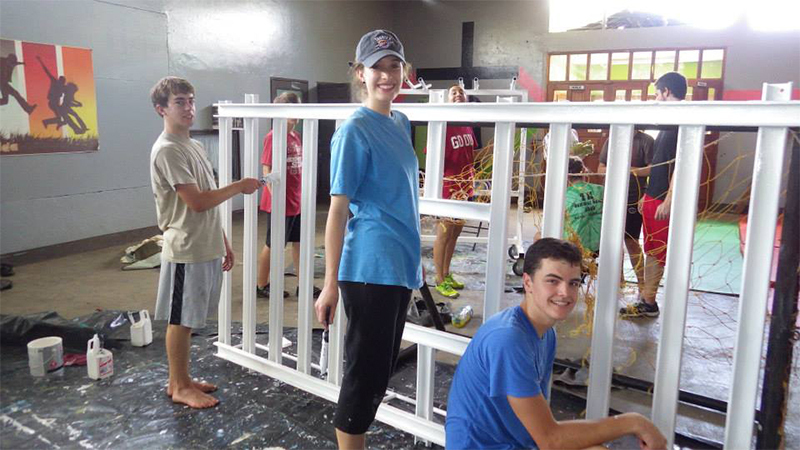 Projects for your team will be determined by your team’s skill set and One by One’s current needs but can include painting, remodeling/improving church facilities, electrical work, sorting and organizing donated items, making props for outreach events, etc. We usually have construction & maintenance projects available for all different levels of skill. One by One works with and trains local leaders of kids and youth outreach programs in several churches and facilities here in Nicaragua. Every church is different and has different ways of preaching the gospel, and we are continually reminded that there is diversity among the members of the body of Christ! 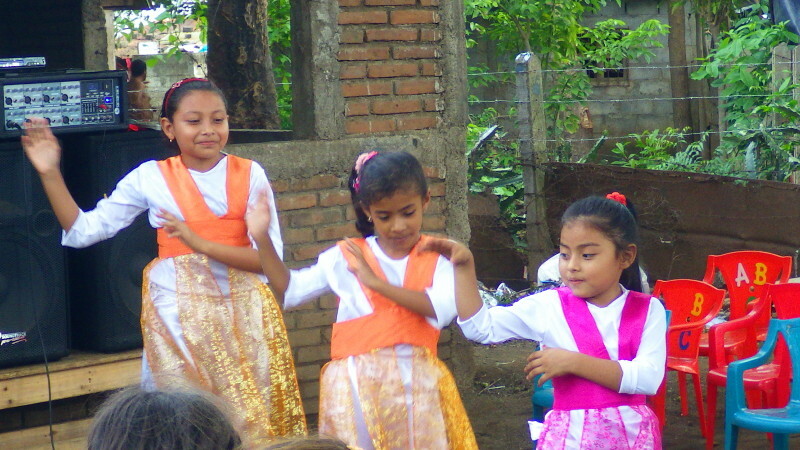 We love it when others gain new perspectives through interacting with those who are different from them, so if you would like to get to know the nation and culture of Nicaragua more deeply—as well as work with people of different denominations, backgrounds, and ideas—we would be pleased to be of service! Before departure to Nicaragua, you as a team leader will work with One by One's Teams Coordinator to develop an itinerary for your trip. A key factor in developing your itinerary is identifying the talents of your team members: what are you good at? Where are your strengths? Determine the cost of your trip and get creative about raising the funds to send your team! We've seen teams have success with direct appeals (asking via letters or in person) as well as donation-based services like bake sales, car washes, 5Ks, and childcare. The average trip is 8 days, and the schedule depends on the type of ministry you are performing. Our large-group worship services are on Thursday night and Saturday morning and are opportunities for your group to serve by being involved. The average cost per person for a week-long trip is $550 to $600 USD, but that can vary depending on length of stay, location of housing, and the projects and programs that your team does. Your cost will be finalized months before arrival, and will be based on the scheduled activities you’ve requested. Because One by One is funded solely by generous monthly supporters, we ask short-term teams to fund their own projects while in Nicaragua. This includes any costs for building and / or outreach programs. One by One is a proud Associate Member of SOE: Standards of Excellence in Short-Term Missions, an organization that promotes excellence and authentic ministry in all aspects of short-term missions. 1. God-Centeredness. An excellent short-term mission seeks first God’s glory and his kingdom. 2. Empowering Partnerships. An excellent short-term mission establishes healthy, interdependent, on-going relationships between sending and receiving partners. 3. Mutual Design. An excellent short-term mission collaboratively plans each specific outreach for the benefit of all participants. 4. Comprehensive Administration. An excellent short-term mission exhibits integrity through reliable set-up and thorough administration for all participants. 5. Qualified Leadership. An excellent short-term mission screens, trains, and develops capable leadership for all participants. 6. Appropriate Training. An excellent short-term mission prepares and equips all participants for the mutually designed outreach. 7. Thorough Follow-Through. An excellent short-term mission assures evaluation, debriefing and appropriate follow-through for all participants.